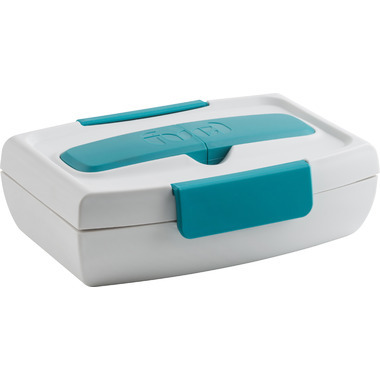 Pack everything you need for a delicious meal with this BPA free Food to Go Container. 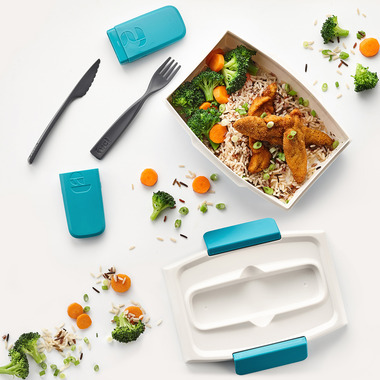 It comes with a cutlery case containing its very own sturdy fork and knife. The lid clips to stay in place. Bring any meal you want to reheat since the bottom container is microwave safe. If you have a big appetite don't worry this bowl can carry up to 34 oz of food!